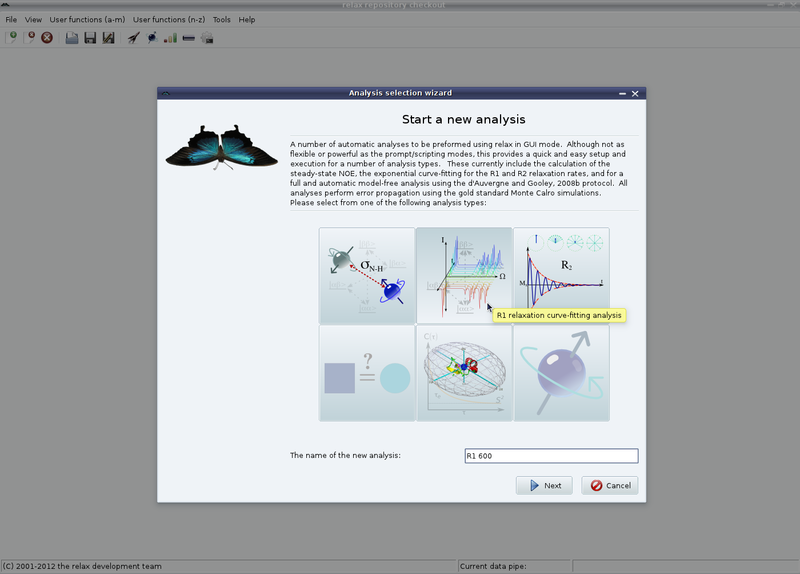 To begin the analysis, launch the analysis selection wizard (see Figure 1.4 on page ). Select either the R1 or R2 analyses, and change the name of the analysis if you plan on running multiple analyses from different field strengths in one relax instance. Then click on the “Next” button. On the second page click on “Start” to commence the analysis - this second part of the wizard does not need to be changed. 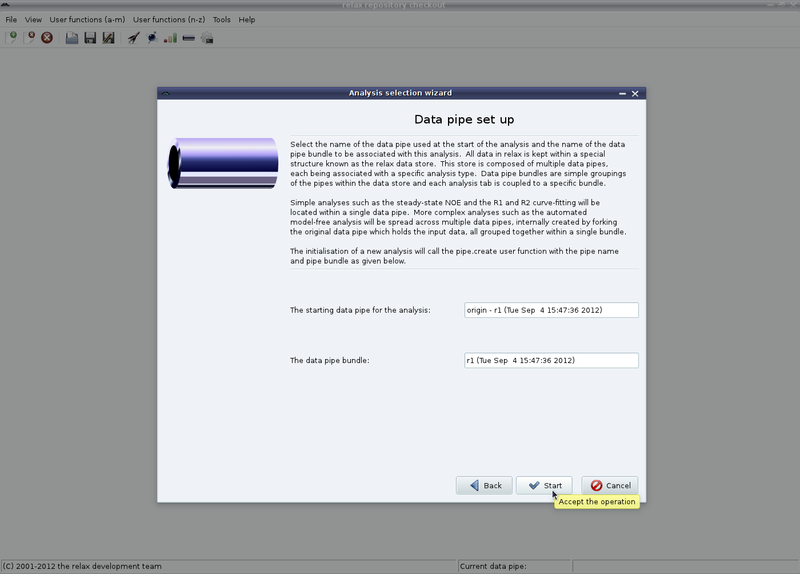 For the R1 and R2 analyses in the GUI, a data pipe bundle containing only a single data pipe for that analysis will be created. This data pipe bundle can be safely ignored.